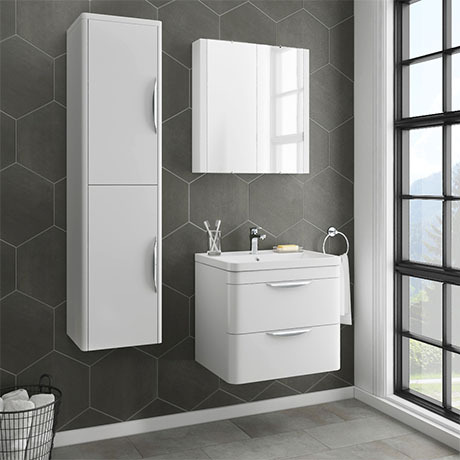 The white gloss finish Monza Pack Monza featues a Polymarble basin top, modern Bathroom Furniture with a rounded corner design and completing the pack a minimalist mirror cabinet with 2 doors and internal shelving. Make the most of your bathroom with our practical and attractive furniture options. Give a contemporary look to your bathroom.